Sturdy plates are made with coated foam to resist leaking and soak-through. This disposable foam is perfect for everyday meals and special occasions. 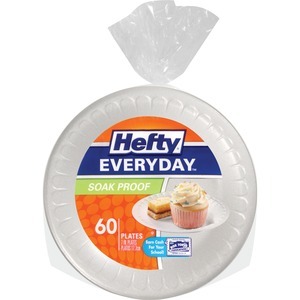 Hefty Everyday Plates deliver strong, durable performance and make every meal cleanup a breeze.